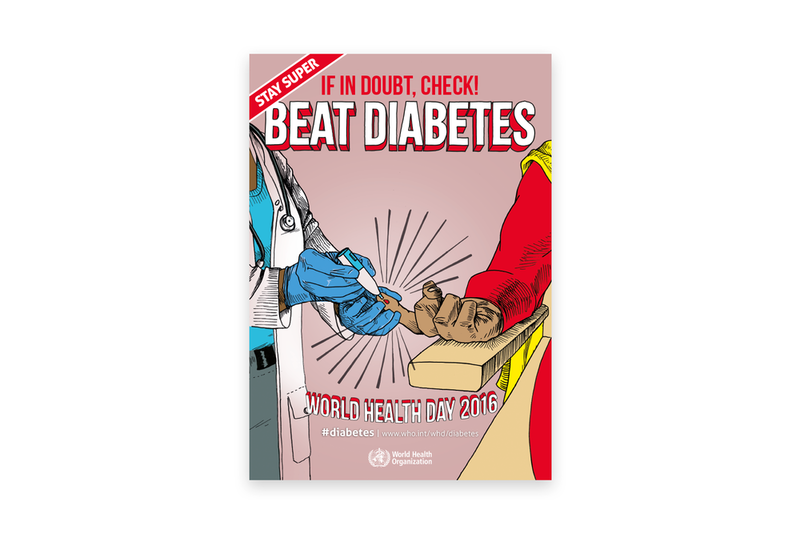 work made for the world health organization's campaign for world health day 2016, one of WHO's main health campaigns. the theme in 2016 was diabetes and how to prevent it. this campaign, with its hand-drawn superhero theme and brightly-coloured visuals, was designed to be social media friendly, and social media activity around world health day was key to the success of the campaign. 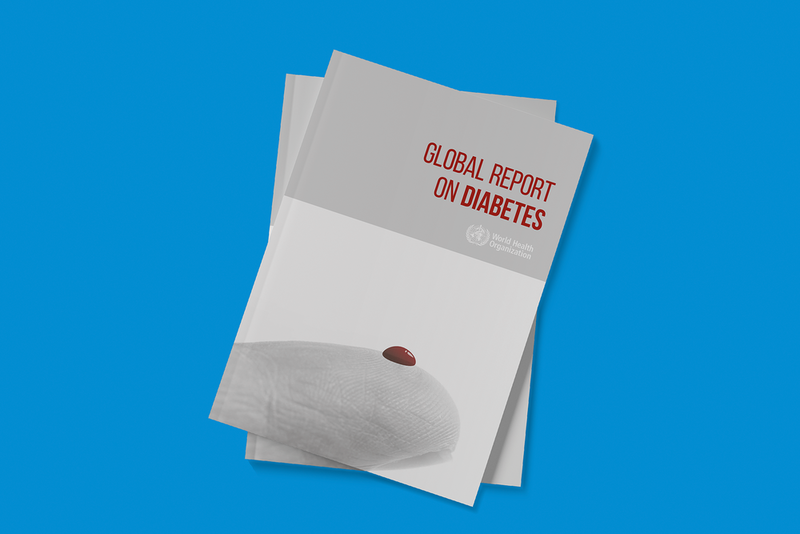 i worked on making infographics, poster design for the campaign, and made the cover of the global report on diabetes, as well as its inside layout.